Near my father’s death I asked him what regrets he had and his very simple answer was he should have flossed. I figured it was good advice so I still follow it. That wasn’t the most important lesson my father taught me. Throughout my life he reinforced to me that Life Is Not Fair. It sounds like a harsh lesson to teach a kid but there is great freedom and insight in this lesson. I first remember hearing him say it on my first day of high school but I doubt it was the first time he said it to me. It was his response whenever I used the rally call of “it’s not fair”. It could have been in response to an early bedtime, to having to wear an eye patch as a child, to not winning a high school election, or to any number of business things I brought up to him as an adult. I remember hearing it a lot when I talked business with him. He response of “Life is Not Fair” was his means of teaching me that “It’s not fair” is not a good argument. “It’s not fair” is not a business argument. “it’s not fair” does not move you closer to agreement. “It’s not fair” is not a winning argument. He was a Jesuit-educated attorney, executive, and politician with the nickname Deals so he knew a few things about winning arguments and closing deals. If life isn’t fair how can we expect any person to be perfectly fair in all situations? The gender pay gap continues 48 years after the signing of the Equal Pay Act. Companies and people state they do not discriminate yet it continues. Could such discrimination be an unconscious act? Believe it or not there is research that indicates it can and often is unconscious. Understanding Prejudice has a gender bias test that has been taken by millions. The test is to show any perceived connection between career and the male gender or families and the female gender. Traditional roles (for good or bad) are hard to kick out of our psyche even if we think we have. The test measures response time to different sections of a web-based test. The test is a simple one of selecting E or I on your computer keyboard to categorize a word that pops up on your screen. The words are either male or female names or words associated with career or family. The test starts with people’s names. You press E for male names and select I for female names. Next you are shown items that would fall into the career or family category. Select E for career and select I for family. Then E can stand for male or career and I can be for female or family. A mix of names and items pop up on your computer. Finally E can stand for female and career and I can stand for male and family. A slower response time is common for the round when male and family use the same letter and female and career use the same letter. I recorded a “moderate” bias for male and career. I guess it’s been harder than I thought to quiet my mother’s very traditional voice in the back of my mind. But enough about my mother and back to the lesson my father taught me. The likelihood that you, a woman, are suffering bias in the work world through a salary gap and other ways is very high. The manner to overcome these biases is not to have a rally cry of “It’s not fair.” “It’s not fair” put the other person on the defensive from the beginning. It doesn’t empower the other person to give you what you want and still look good in the process. “It’s not fair” is not constructive. So the next time you are about to say, “It’s not fair,” I recommend you think what other reasons you have a problem with whatever it is. You will have a much better shot at getting what you want if you do. 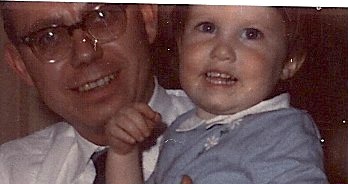 I write this post in his memory of my dad, John F. Donovan, who passed away 18 years ago today, August 11, 1993. May all our regrets be as benign as his. This entry was posted on August 11, 2011 by Katie Donovan in Equal Pay, Negotiating Tactics, Women Negotiating and tagged closing a deal, it's not fair, John F. Donovan, winning arguments.